Since gray wolves in the western Great Lakes region were removed from the list in 2011, Wisconsin and Minnesota wildlife managers to reinstated game hunting and trapping seasons for the wolves. In their press release, the Humane Society says more than 500 wolves were killed in Wisconsin and Minnesota in less than four months last year. 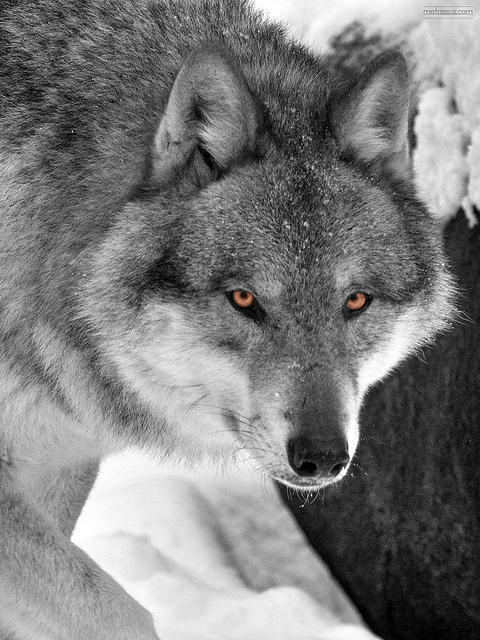 Michigan lawmakers passed a law last December that would allow the hunting gray wolves. A hunting season would have to be approved by the state's wildlife commission. The activists argue these wolf hunts could hurt population numbers. “In the short time since federal protections have been removed, trophy hunters and trappers have killed hundreds of Great Lakes wolves under hostile state management programs that encourage dramatic reductions in wolf populations,” said Jonathan Lovvorn, senior vice president and chief counsel for animal protection litigation at The HSUS. 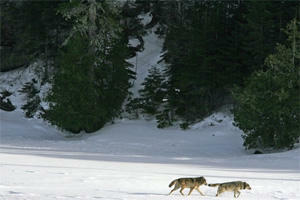 It is estimated that their are nearly 700 gray wolves in the Upper Peninsula of Michigan. The Humane Society is leading a separate referendum campaign in Michigan to keep a wolf hunting season from moving forward. This picture is making the rounds on Facebook. It was posted on the Michigan Whitetail Pursuit page and has been shared more than 3,000 times. The animal was so big, I wasn't sure if the photo was manipulated. I checked in with the Michigan Department of Natural Resources to find the story behind the photo. It's legit, according to Ed Golder of the MDNR. "This picture is of one of our conservation officers from Iron County in the Upper Peninsula. 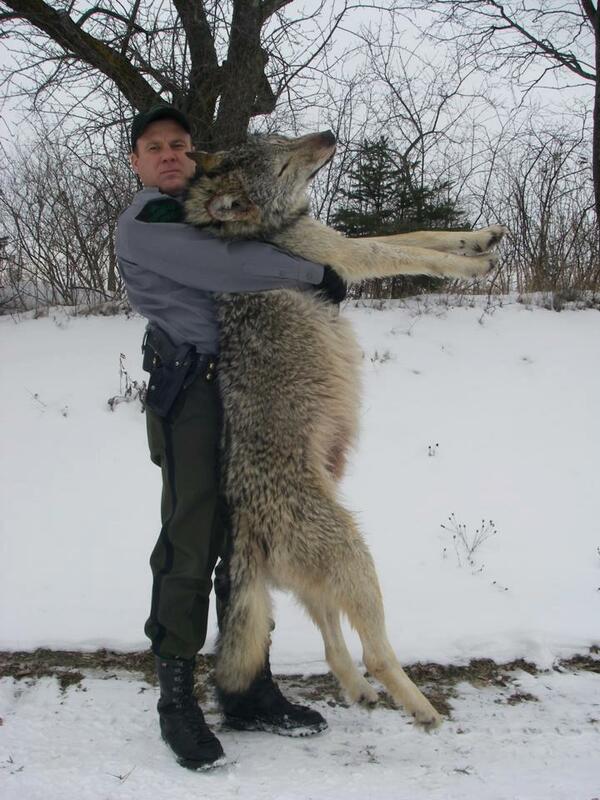 The wolf he is holding was hit by a car near Watersmeet in Gogebic County," said Golder. "Tribal police were the primary responding agency. The wolf will go to an Upper Peninsula tribe so it can be mounted and displayed for educational purposes. The wolf -- which was healthy and in good shape -- weighed about 100 pounds but looks bigger in the photo because of its full winter coat." That's a warm winter coat. An animal welfare group has the green light to start collecting signatures in its attempt to stop a new law opening Michigan to a wolf hunt. On Thursday, a state board approved petitions drafted by the group Keep Michigan Wolves Protected. Michael Hodge is their attorney. He said there is no evidence that wolves are a problem in the Upper Peninsula. “So it’s a hunting season for trophy hunters who want to kill an animal that just basically reappeared in the state of Michigan in recent years,” said Hodge. The group trying to reverse Michigan’s new law that allows a wolf-hunting season in the Upper Peninsula unveiled its campaign coalition today. It includes the Humane Society and other animal rights groups, as well as Michigan’s American Indian tribes. The coalition is trying to put a referendum on the 2014 ballot. Aaron Payment is the chair of the Sault Sainte Marie Tribe of Chippewa Indians. He said a wolf hunt would be an affront to tribal culture. “In our tradition, in our culture, we believe that the wolf is our brother. And, I don’t mean this to sound very mystical, but in our long-standing tradition, we believe that what happens to the wolf, eventually happens to us,” said Payment. Payment said a wolf hunt could also violate a 2007 agreement between Indian tribes and the state of Michigan. Supporters of the law say state wildlife officials should be allowed to use limited hunting as a wolf-management tool. 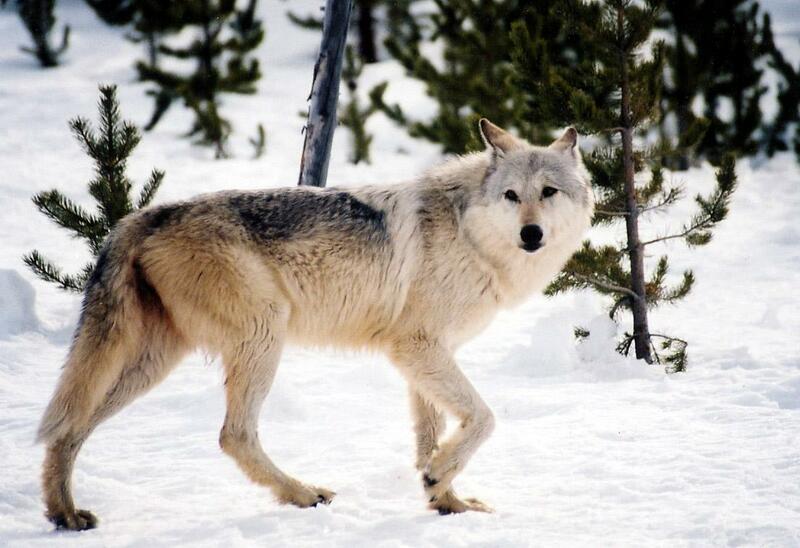 The gray wolf was removed from the endangered species list in Michigan last year.